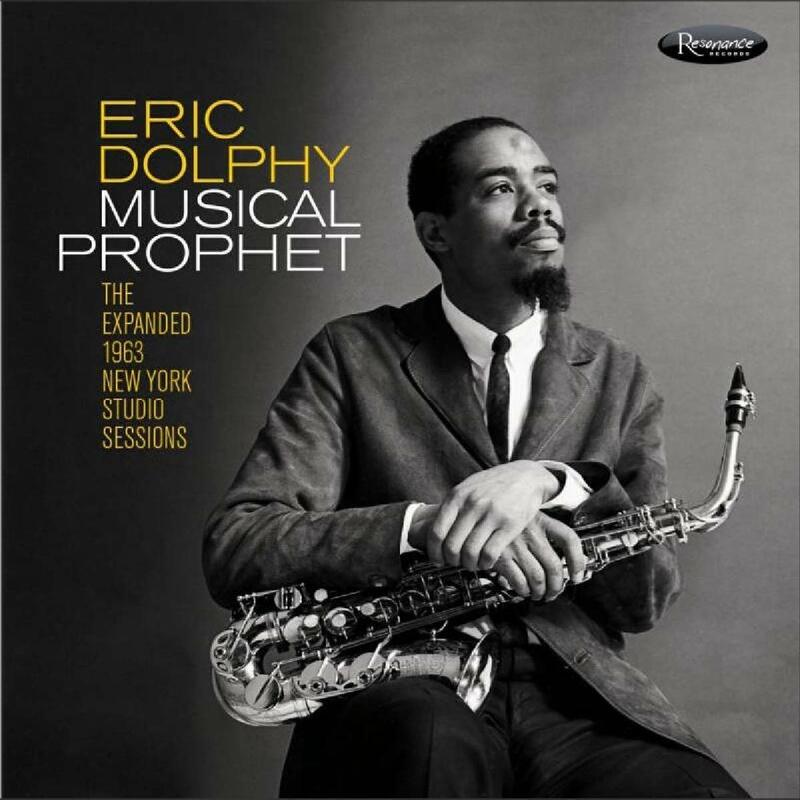 A must for any serious jazz collector, Musical Prophet: The Expanded 1963 New York Studio Sessions is a three disc set that includes Eric Dolphy’s 1963 albums, Conversations and Iron Man, newly remastered in high-resolution mono transferred from the only extant master tapes. Though these two albums have been reissued multiple times over the years (often on budget labels), Resonance Records has upped the ante with bonus tracks and remarkable audio clarity. The third disc offers 85 minutes of previously unissued material recorded during the same sessions on July 1 and 3, 1963, with producer Alan Douglas at Music Maker’s Studios in New York City. About six months later, Dolphy laid down tracks for the avant-garde masterpiece, Out to Lunch!, his final studio recording before his untimely death in Berlin on June 29, 1964. Consequently, Musical Prophet offers additional insight into Dolphy’s musical headspace and creative output during the last year of his life. 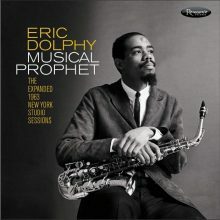 The personnel on these sessions includes Dolphy on alto sax, flute, and bass clarinet, with William “Prince” Lasha on flute, Garvin Bushnell on bassoon, Sonny Simmons on alto sax, Clifford Jordan on soprano sax, Woody Shaw on trumpet, Bobby Hutcherson on vibes, Richard Davis and Eddie Kahn on bass, and J.C. Moses and Charles Moffett on drums. There’s only one track with a different line-up: Bob James’ “A Personal Statement,” added as a bonus on Iron Man, was recorded in 1964 in Ann Arbor, Michigan and features James on piano, Ron Brooks on bass, and Robert “Cleve” Pozar on percussion, with vocalist David Schwartz. As with all Resonance releases, there’s a lavishly illustrated 100 page booklet featuring essays by jazz scholars Robin D.G. Kelley and Masakazu Sato (a Japanese Dolphy specialist), co-producers of this set Zev Feldman and James Newton, as well as numerous interviews with musicians such as Richard Davis, Sonny Rollins, Bill Laswell, Dave Liebman, Henry Threadgill, David Murray, and Oliver Lake, among others. Without a doubt, Musical Prophet allows for a new appreciation of Dolphy’s two lesser known 1963 albums, and adds significantly to his body of recorded work through the new disc of previously unreleased tracks. This entry was posted in Jazz and tagged Bob James, Bobby Hutcherson, Brenda Nelson-Strauss, CD review, Charles Moffett, Clifford Jordan, Eddie Kahn, Eric Dolphy, Garvin Bushnell, Hale Smith, J.C. Moses, James Newton, Jazz, Musical Prophet, Prince Lasha, Resonance Records, Richard Davis, Sonny Simmons, Woody Shaw, Zev Feldman by aaamc. Bookmark the permalink.